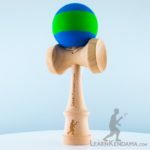 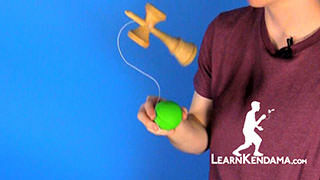 Learn the kendama trick Lunar. 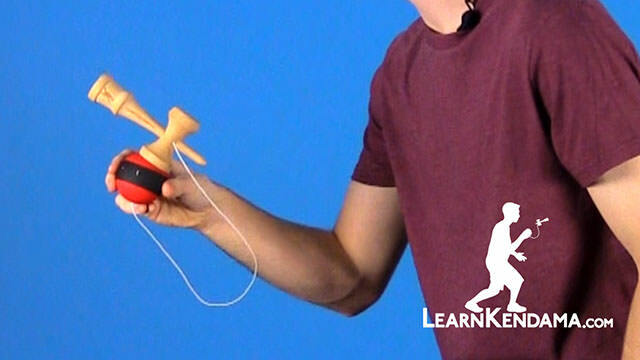 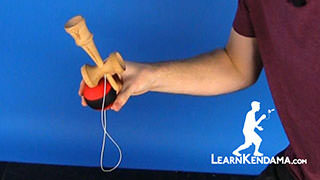 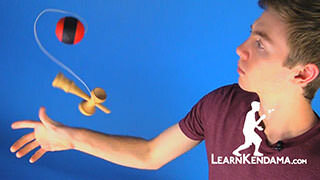 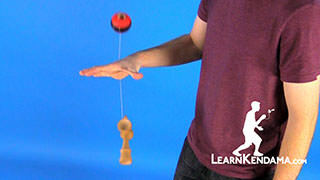 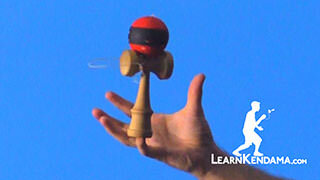 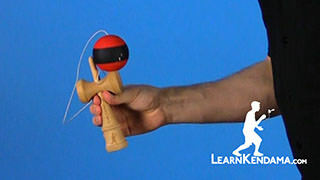 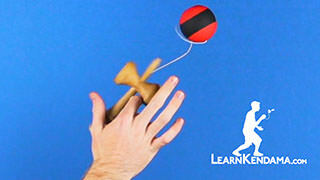 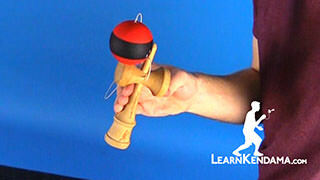 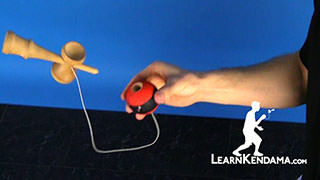 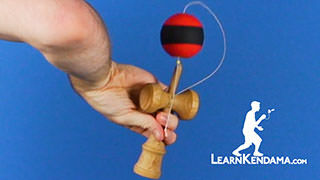 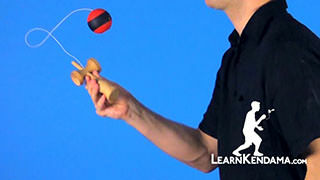 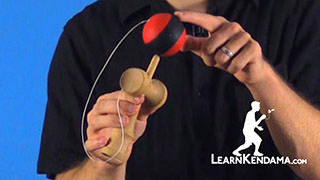 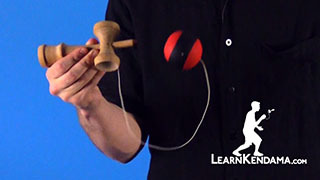 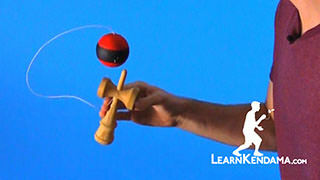 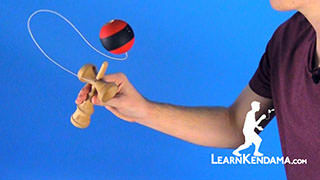 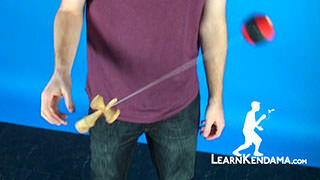 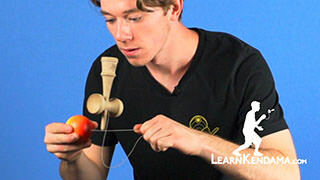 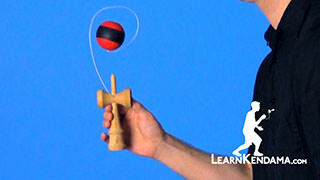 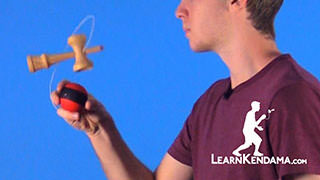 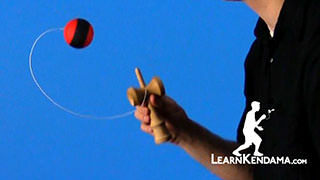 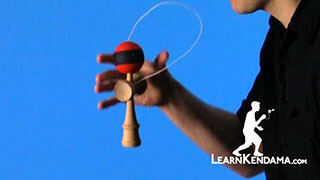 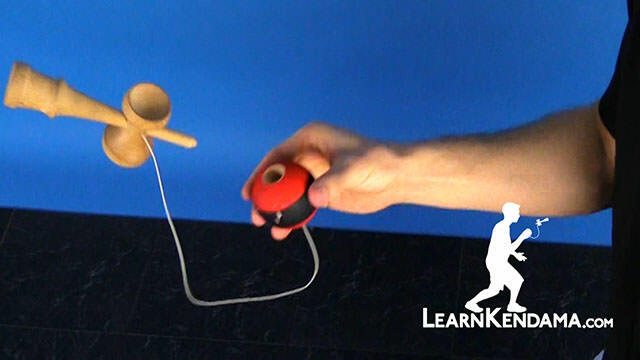 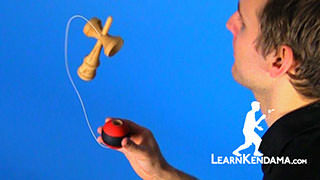 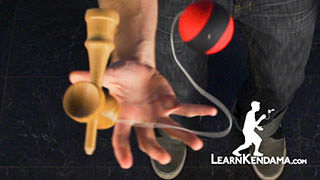 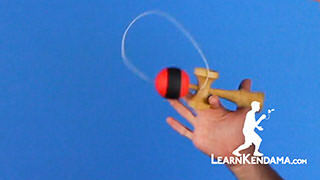 Lunar Kendama TrickIn this video we’re going to be teaching you the kendama trick called Lunar. 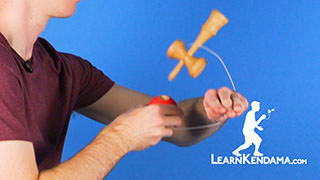 It’s one of the most popular tricks and it looks like this. 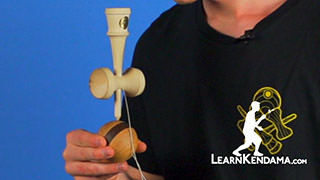 To begin the trick you really want to work on balancing the ken on top of the tama. 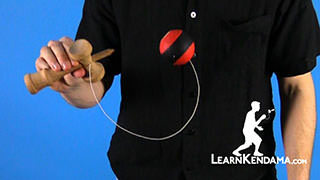 We are going to practice by holding the tama in our dominant hand with the hole of the tama facing slightly towards you. 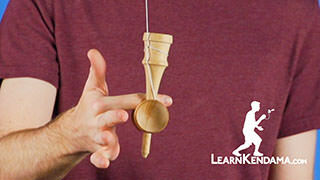 You are going to take the big cup of the ken and you’re going to rest that on the hole. 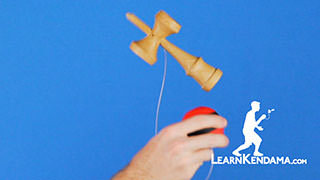 This is going to be the ideal way to catch the ken in order to perform the trick. 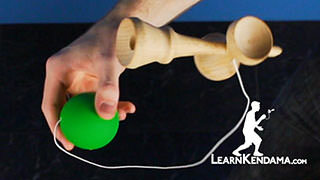 When you let go, you want to make sure that the ken is at a forty-five degree angle to give it the perfect balance. 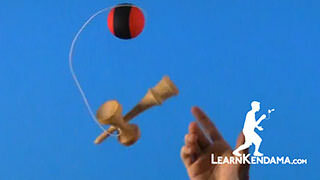 If it is any higher it will slide off, of if it is any lower it will fall forward. 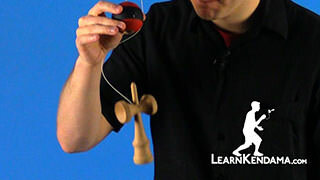 You want to make sure you can balance it. 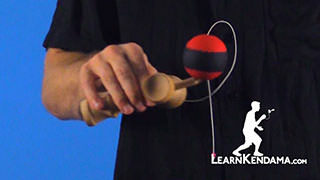 Once you do get this feeling down, move around a little bit and make sure you can adjust because it will slide around especially if you have a slippery tama. 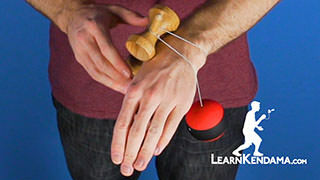 Make sure you can balance it and get the hang of it. In order to do the full trick you’re going to start in an airplane motion, so if you haven’t seen that video yet make sure you go back and check that out. 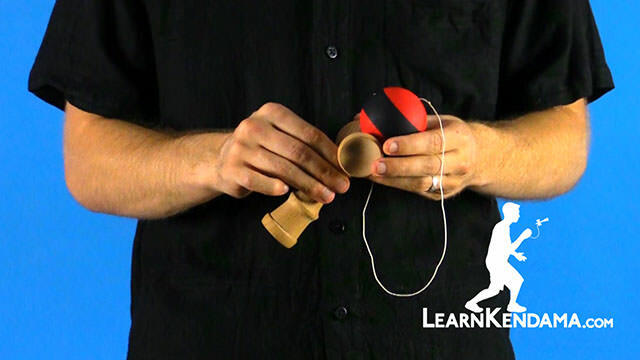 You want the small cup facing towards you and the string on the inside of your body. 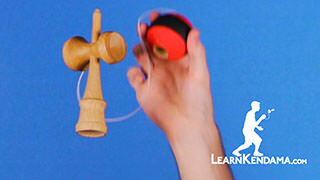 You’re going to give it a slight twist so that the big cup will face downwards and will land on top of the tama. 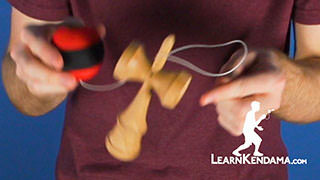 You’re going to let go, give it that small twist, and catch it on the tama. 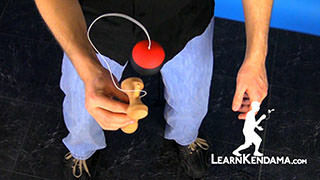 Once you do catch it, you’re going to give it a small pop and twist your hand towards you slightly so that the spike faces downwards. 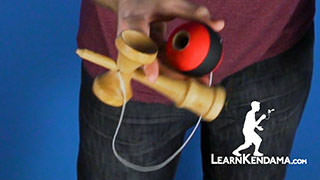 Then you can catch it in the hole of the tama.